Oopsie! 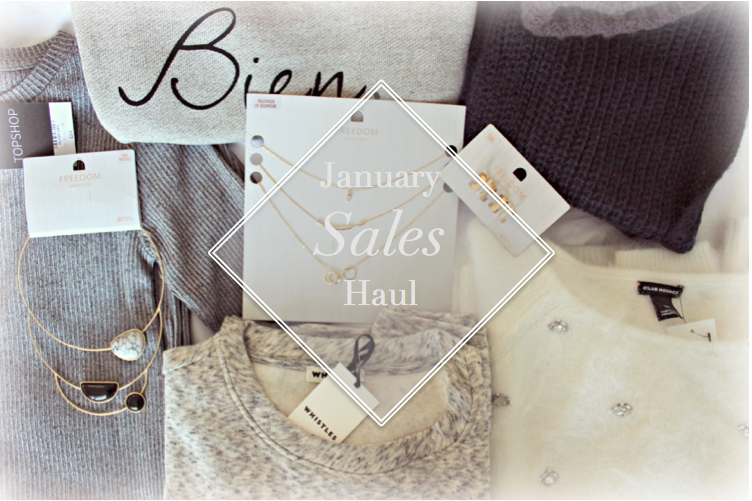 This month I’ve definitely been taking advantage of the Further Markdowns and stocking up on some beautiful pieces from brands such as Topshop, Whistles and Club Monaco to name a few! I thought I’d share with you some of my favourites pieces, some may even still be in stock so you can see if you can grab yourself a bargain too! Whistles are known for their playful sweatshirts, and their current season slogan is Tres Bien Merci, after the sell out success of last season’s Comme Ci Comme Ça. OK, so I’m not starting out well here in a ‘Sales Haul’ by mentioning a full price item but I do have a point. I promise. While the new season knit is £75, which is pretty hard to justify on a sweatshirt even if I do practically live in them, I picked up another in the sale at a mere £25!! Mega further markdown alert, I found the grey marl heart embellished jumper in the Kings Road store and couldn’t resist the bargain that it was. A very similar version is still available on ASOS here. The Whistles Sale on ASOS was really great this season, I also picked up this Mohair Mix Knitted Scarf for £30 down from £75, along with a nice extra 10% off sale items! Perfect for wrapping up super duper warm when I go to NYC and when temperatures drop in London, I chose a versatile Navy colour which hopefully won’t get too many make up marks on it! Also in my order but not photographed was this Whistles Link Stitch Knitted Hat, which I got for half price! One of my favourite Sales picks is the white angora super fluffy jumper from Club Monaco. From a brand that is usually out of my budget, this scrumptiously soft jumper is the kind of thing that makes you feel so ridiculously cosy that you could just drop off to sleep at any given moment (dangerous!)…. I couldn’t believe it when I saw the mark down, originally retailing at over £180, I grabbed this beauty for £68. There’s so many bargains to be have in store and online. Again misleading (I’m sorry!) but in the New Season section in Topshop I fell in love with their new accessories, particularly the Semi Precious stone range featuring some fabulous marble-esque necklaces and matte gold rings, which loads of you loved on my Instagram! Annoyingly none of these seem to be online, but this would be the most similar. 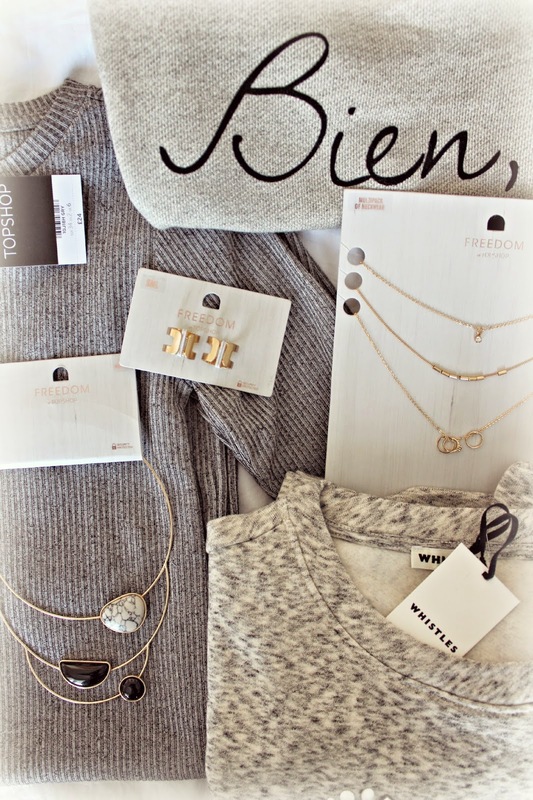 I’ll be teaming them with this classic Ribbed Grey Jumper Dress also from Topshop. Keep an eye on my Instagram for snaps of me wearing my new goodies! Did you get any bargains in the January Sales? Next Post How I Survive Long Haul Flights!